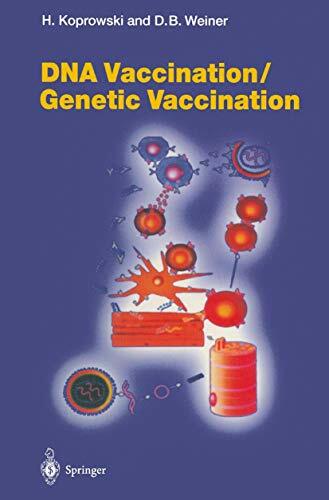 Genetic / DNA immunization represents a novel approach to vaccine and immune therapeutic development. The direct injec­ tion of nucleic acid expression cassettes into a living host results in a limited number of its cells becoming factories for production of the introduced gene products. This host-inappropriate gene expression has important immunological consequences, resulting in the specific immune activation of the host against the gene­ delivered antigen. The recent demonstration by a number of laboratories that the induced immune responses are functional in experimental models against both specific infectious diseases and cancers is likely to have dramatic consequences for the develop­ ment of a new generation of experimental vaccines and immune therapies. This technology has the potential to enable the pro­ duction of vaccines and immune-based therapies that are not only effective immunologically but are accessible to the entire world (rather than just to the most developed nations). Vaccine Development Vaccination against pathogenic microorganisms represents one of the most important advances in the history of medicine. Vaccines, including those against polio, measles, mumps, rubella, hepatitis A, hepatitis B, pertussis and other diseases, have dramatically improved and protected more human lives than any other avenue of modern medicine. The vaccine against smallpox, for example, has been so successful that it is now widely believed that this malicious killer, responsible for more deaths in the twentieth century than World Wars I and II combined, has been removed from the face of the earth. 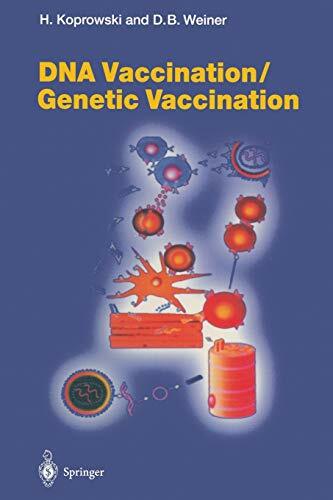 This volume highlights an exciting and novel area that lies between two fields: gene therapy and vaccination. The application of gene delivery for the in vivo stimulation of immune responses has implications not only for vaccine development but also for the growing area of immunotherapy. Leading laboratories in the area of DNA vaccines have contributed to this important field. Topics covered include applications of genetic vaccines to herpes, hepatitis, cancer autoimmune disease, parasitic diseases, as well as retroviral infections including AIDS. The development of this technology from small animal systems to non-human primates and its implications to man is discussed.